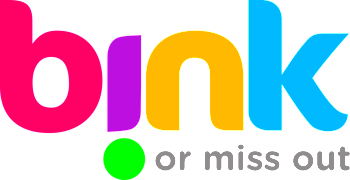 We gave Bink, a new loyalty app, a lot of coverage late last year. It was – and remains – a very clever concept, which would let you earn loyalty points in High Street loyalty schemes simply by swiping your registered credit card. You don’t need to show your loyalty card as the shop knows it was you via your payment card. As with many new tech products, Bink’s roll out does not seem to have gone to plan. Whilst they have just agreed a deal with Harvey Nichols, it is not exactly a Tesco-sized contract. The people I knew there have mainly left the business, although it is still fully functional. I get a feeling that it may end up as a back-end solution, with retailers licensing their technology to allow shoppers to earn points via their payment card without needing the Bink app. But what do I know? The Avios link with Bink was via the second strand to their business. By registering a payment card and your Avios account with Bink, you could earn Avios by spending in various retailers. The first partner launched was Pizza Express, a year ago. And then …. nothing. Dixons Travel was meant to be launching as the second partner but nothing appeared. Avios then trumped Bink by rolling out its own ‘earn Avios by paying with a registered payment card’ solution. This was done using the Collinson Latitude platform which also powers the Virgin Atlantic ShopsAway site. I doubt Bink was hugely happy about this. I know the Avios side of the story but I haven’t heard the Bink side and therefore it would be wrong to comment. You no longer need to have a Bink account to earn Avios when eating at Pizza Express. There are some slightly odd names there which I doubt fit with the core Avios / BA Executive Club demographic, but …. To earn Avios from these shops, you must register your credit card at this page. You should NOT link the same payment card to both the Virgin ShopsAway and Avios estore ‘in store earning’ platforms because it causes ‘card clash’. To promote this move, you will earn 12 Avios per £1 on all spending at Pizza Express from Sunday to Thursday until 26th November. Spending on Friday and Saturday will earn 6 Avios per £1. This is double the standard rate of 6 Avios and 3 Avios respectively. The offer will disappear from the Bink platform tonight. No pressure, BA. Singapore Airlines launches its new First and Business Class. Is the Millennium & Copthorne Hotels loyalty scheme worth a look? I don’t understand what Bink does without Pizza Express and Avios, can anyone update me? Bink & you’ll miss it! Not much at the moment ….. I discovered that when you add a card it fails, if you click to another tab e.g. My Alerts and then go back to In Store Cards, it shows up. Talking of Bink, whatever happened to 3More ? Not sure if mentioned elsewhere, but has anyone received Club Carlson offers? Loyalty lobby post says there are four versions , and it seems to let you enroll in all four. Yes, I got 15k for one stay. Which may persuade me to do one. I believe they stack – so I have enrolled in all four (the links are in the LL post). One stay should get me 15k points, instant Silver (I’m only Red), a 50% e-cert for two nights, and also contribute to the bigger offer – the first target is 5 nights for an additional 10k. 2 of the promos seem to be US only? Or am I looking at the wrong link? Tom – I got instant Gold earlier this summer, not that its anywhere near as good benefits as Hilton. Yes that’s the one – sorry should have sent the link earlier! I have enrolled and got 4 email confirmations back. You’re right about silver – the only real benefit is a potential upgrade and a small bonus on earnings. I have about 20 nights coming up in Jan – but the Carlson hotels aren’t great so I usually pick the Hyatt. Problem there is World of Hyatt is almost worthless. Same here. On an iPad. I wonder if being on a desktop/laptop might make a difference but can’t try that until tomorrow. An of course I then have to remember the avios.com password which changes almost monthly as it seems to fail on one device or another. I had this- but refreshed the page a few times a few minutes later and it had added the card no problem. Did the same for 2 cards- got the error twice but they both added once the page refreshed properly. Slightly related to Tesco–>VS bonus, it still allows you top top up a spouse’s (same surname) VS a/c from your TCC, useful for rounding off.. I deleted Bink from my iPad and mobile. Is there anything else I should do to prevent credit card clash? I never used Bink/Pizza express and don’t remember which credit card I used to sign up. Thanks. I was unexpectedly in Pizza Express yesterday, so whilst waiting for the bill, remembered the existence of Bink and went through the motions of resetting my password. How disappointing to see the app empty … and now I read the above! Nice idea, sounds like it got nowhere, but registering cards direct with Avios makes more sense from a user perspective. Just need to wait for Avios’s website to start working I guess! I also wonder if you can double dip between Curve Rewards and Avios (assuming of course that it’s even possible to register a Curve card with them). Still unable to register a card with Avios. Have you checked the tickbox agreeing to their T+Cs? I should have added: tick the box, ‘register card (or similar’ becomes bold, click that and enter card details.